“The Truman Show” is a movie within a movie, as the TV show itself in the movie is called The Truman Show. It is about a man, Truman Burbank, whose life is a reality TV show, but he has no idea. A studio company adopted him as a baby, and all his friends, coworkers and even parents are only actors in the show. His town is a movie set. Everything he does is on live TV without him even knowing that his world is, in fact, fake. 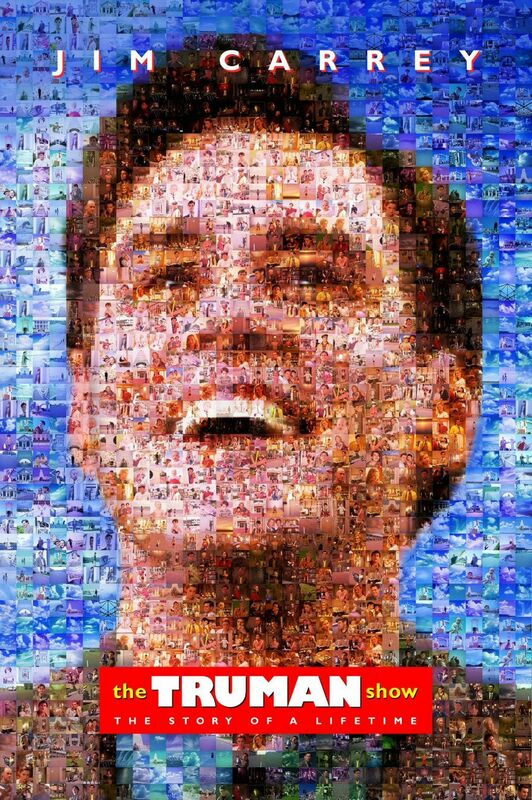 “The Truman Show” is basically an allegory of our political system. The movie teaches us, and demonstrates how even our own world–and how we live–is only how we perceive it. Truman is given many hints throughout his life that he is on TV or that everyone he knows is just putting up an act. The first hint, or rupture, in the movie is the light that falls from the sky–a high ceiling in the fake town. Other moments include the flashbacks of him as child, or when he spontaneously walks into the large office building and notices the elevator is fake and the group of people with headsets. Another instance of Truman almost figuring out his world is fake is when his car radio stops working, and when he changes the station, he hears people communicating his location. Everywhere he turned in that few seconds, someone was repeating where he was driving. This is when Truman really began to notice something isn’t right. This single line of Christof’s is so profound because it speaks levels of truth in this present time. Like Truman’s town of Sea Haven, our own world seems to be experiencing similar series of ruptures. These ruptures include, the great recession, the Arab spring, all the killings of people by police officers, and our increasing awareness of crimes, and the rise of the political outsider movements of Bernie Sanders and Donald Trump. But we don’t seem to always care about all this stuff when we go about our daily routines. I think American Society is a lot like Truman Burbank, laboring like him for thirty years or so years under a system that is finally showing itself to be ridiculous. Society, like Truman, is trying to wake itself up, while stumbling under the pain that surfaces from doing so. The Truman Show is a massive operation with a crew and cast of thousands. But the actual success of the show always depends on Truman himself. It can only work if Truman believes in it. Christof also says during the movie that if Truman really wanted to discover the truth—if he really tried to leave Sea Haven—he could. There would be know way they could prevent it. Just like Truman, we can be completely ignorant of the chaos happening around the world if we wanted to. Everyday we seem to not even care or take notice of how much crime and politics takes place. We just go about our daily routine of work, school, and fun, much like how Truman’s fake town is always bright and sunny, and everyone seems to be so kind to him. But if we were to really look for it, we’d see how corrupt this world truly is. The same goes for Truman, when he finally realizes that everything around him is a setup.